University Communications Network > Ask Dr. Universe > How does sand stick together? Sand is really just a lot of little rocks and some of those other solids. There are a lot of these tiny liquid bridges in a handful of wet sand. The sand particles aren’t sticking to each other, but are being held together by water. A lot of these little bridges can make the sand stick together better. The water bridges are actually shaped like hourglasses, thin in the middle and thick at each end, Barmore explains. But as you add more water, the bridge gets weaker and that bond breaks. Then you end up with a soupier sand. On the other hand, if the sand dries out, the water bridges start to disappear and the sandcastle crumbles. The force behind this is called surface tension. We see it when we fill a water glass to the top and it forms a curved edge. It’s also how some bugs can walk on water and why a bit of water forms into a droplet instead of spreading out. Perhaps you can try some sandcastle investigations of your own at home or the next time you’re at a beach. Can you find the best recipe for sandcastle sand? Is it one part sand to a half cup water? One cup sand to one cup of water? A different combination? What happens if you use a different kind of liquid instead of water? 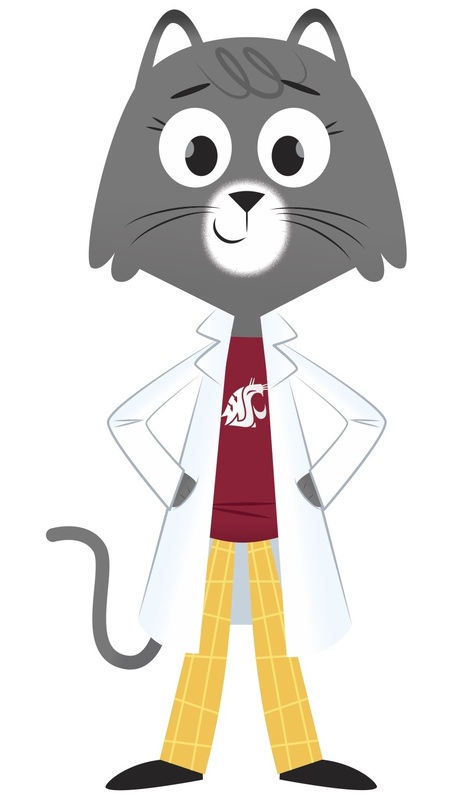 Tell us what you discover or create at Dr.Universe@wsu.edu. Some engineers have found a way to make strong building material out of sand. They can layer up two materials that are not very strong on their own—sand and paper towel—to hold up a car. Watch a video about the engineering process. The water bridges that connect sand actually have a scientific name: interstitial water bridges. The Guinness World Record for the tallest sandcastle is 54 feet. « Part 2: Why does music give us chills?